Russian women are admired throughout the world for their beauty. So why is the phrase “I’d never have guessed you’re from Russia” music to their ears? When it comes to shopping, Russian women are generally not much different to their European counterparts (except for spending at least twice as much time on it*). There are no secret shops or salons that turn a plain Jane into a real Russian woman. On the contrary, Russian women frequent the same old Zara, H&M, and Mango, while others go to Massimo Dutti or order things from Europe on Yoox. They are hooked on outlets offering branded items at a discount (Russians love luxury even if they can’t afford it). All the same, globalization and the mass market did not pass them by. How is it then that you can (nearly always) identify a woman from Russia simply by her appearance? 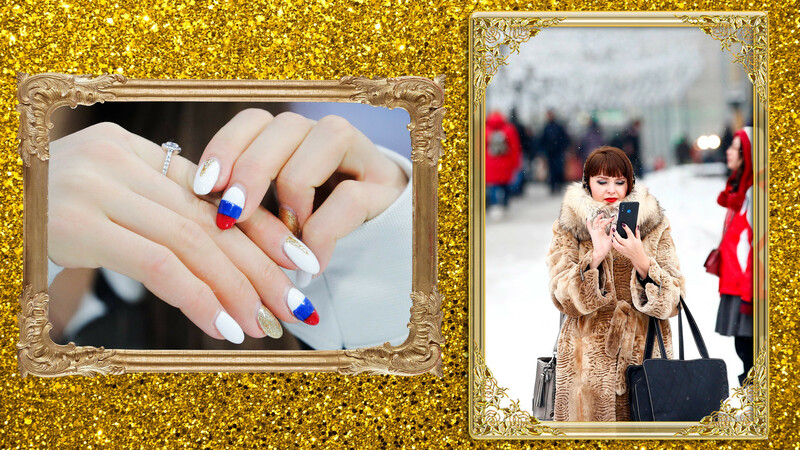 We could call it the “inimitable Russian style,” but that would be an exaggeration. Or would it? There is, after all, an element of uniqueness about it. “Russian style” is not something that women from other countries would like to try—not least because it would be a devilishly difficult (and, let’s be honest, pointless) task. “Look at the amount of shiny stuff she has on herself, and compare it with the locals: the shinier it is on her, the more likely she is to be Russian. It can be anything—shiny jackets, shoes, and even a shiny face due to too much makeup,” says Utkarsh Bhardwaj from India, who has spent the last three years in Russia. Yes, Russians like highlighters and the “radiant skin effect,” not to mention rhinestones on everything from nails to sneakers and T-shirts. Russian women love to look bright, regardless of whether they are 5 or 50 years old. Red on gray or black, green and yellow through a gold accessory—any kind of “active” print is Russian-style. Makeup a little brighter than necessary, a ring far more expensive than need be, a necklace instead of a nondescript pendant—that’s all Russian-style too. 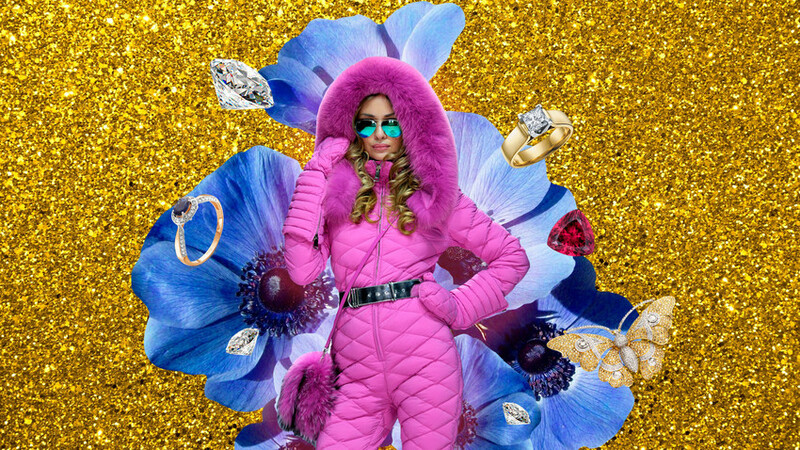 Russian-style simply means “too much,” designer Lena Karin puts it in a nutshell. 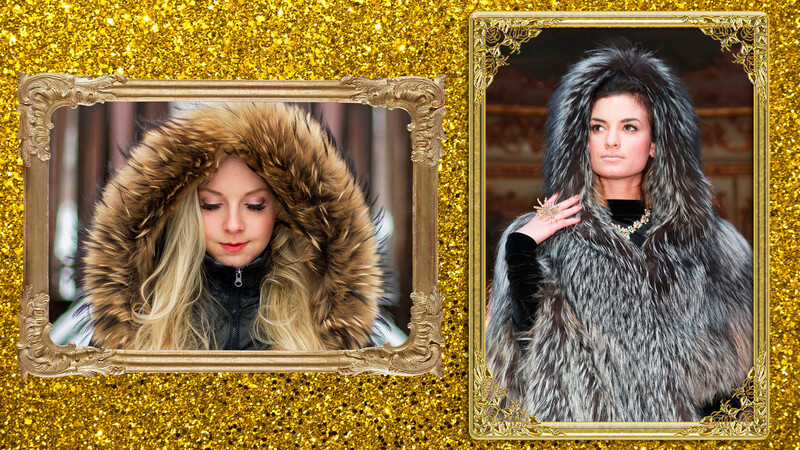 But what comes most naturally to Russian women is fur. That is Russian to a tee. A natural fur coat and hat, or just a furry frill on a skirt... “I don’t know, maybe it’s nice and warm underneath,” wonders Nils. Sure, Nils, that’s partly it. But not entirely. My Italian friend told me about his Russian girlfriend. They went on vacation. She got bad food poisoning and had to go to the hospital. While he was caringly putting on her socks, she bent in half reaching for her face powder. “I look very pale” was her excuse. Even rotten seafood is no reason to look off-color. Hence, the common notion that a Russian woman never appears in public without making herself up first (which often means foundation, powder, rouge, mascara, and something else to her taste)—even if she's just taking out the trash. That’s why “you’ll never see girls in Russia drunk out of their minds, puking their guts out like it’s all too common in the UK,” says Ivan, a Russian expat. They simply cannot lose face (so prefer to cover it with powder, some might say). As you probably already figured, Russians (men and women) don’t think much of unisex. For women, demonstrating femininity (which in practice often equates to sexuality) is the name of the game when choosing what to wear. It doesn’t matter that the clothes are tight and the shoes rub. “Beauty demands sacrifice” is a famous Russian proverb. Russian women take it all too literally. “I’m not Russian, but I’ve visited Moscow and St. Petersburg quite a few times. What struck me is how little some of the women wear, even in cold weather. Quite a lot like women from Essex or Newcastle here in the UK, but far more presentable and fashionable,” says Charles from Manchester, England. Yes, a short skirt in cold weather is pure Russian. As are “fashionable clothes,” whatever that actually means. A Russian woman buys new stuff when she is bored with what she has, not when it’s worn out. Or if her things were in a previous collection and a new one just came out (which happens more often than there are seasons in the year). After all, old hats are so… old-hat. Perhaps it's because the way Russian women dress works only in Russia. “I remember once in Moscow I forgot to put shoes in the car and had to go to a meeting, just a regular one, in ugg boots. I wanted the ground to swallow me up,” recalls designer Alena Akhmadullina. Is Russia a religious or secular state? Why do so few Russians speak good English?